Winter is on the wane and the features are filled with older pacers pounding over the tracks on the left and the right coasts. Woodbine hosts the Cam Fella this Saturday, since the weather knocked the program out last week. The night before there are two eliminations for the Damsel Stake, featuring four- and five-year-old pacing mares. At the Big M winter series continue with leg 2 for the Overbid and Four Leaf Clover on Friday and Saturday, respectively. It is still March, so all harness past performances are free at TwinSpires. Plus, the no-takeout Pick 4 at Cal Expo, which we won here last week for you, and the TwinSpires 10-percent bonus Pick 4 at the Meadowlands, along with hot suggestions from the watch lists are the crux of what follows below. Good luck to you all. In the second leg of the Overbid, 10 of the top-pacing mares square off in what should be an exciting event. There seems not to be a clear favorite, but if to choose, Laughandbehappy would probably be the public choice. But she showed nothing last week and is moving up to the rail. 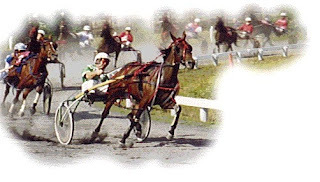 Value may surface with the coupled Western Graduate and Omen Hanover. Two-for-one possible longshots, “Graduate” raced her first start in the Nick Surick stable and “Omen” got a dream trip and has been on the board at long odds. Also watch On The Glass, revving up from a good season last year. In the nightcap of stakes action this week, we consider three horses, Art Professor, Code Word and Panesthetic. Art Professor was interfered last week. Code Word has gotten better as the year went on and Panesthetic, you can give him that last race as he came off a layoff. 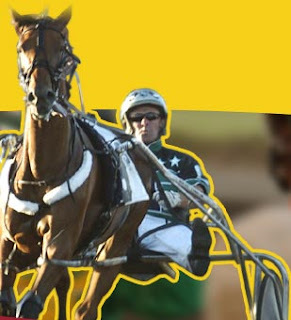 On a non-series note, Race 10 on Friday at the Meadowlands features some of the best FFA Mare pacers, including the return of all-star pacer Rock N Soul. She finished second to Dancinwiththestarz in the Mistletoe Shalee Final, in a world record of 1:48.4, on Hambletonian day at odds of 80-1 (One of our longshots on Hambo-day coverage). She is superior in this field in more ways than one. It would be a shock if she was off the board. Some of Canada’s sharpest older-pacing femmes make up the two Damsel elims on March 11. In the first split, Ardor Locke (6) comes off a tough trip while backed well last week. She had an early duel, which drained her after the half and cannot be punished for finishing badly in that race. With Catch A Dragon getting the 8 hole after a mediocre perfect-trip win looming as tonight’s choice, “Locke” may be a lock, indeed and at a decent price. The second division is a bit more competitive but two gals could make it look easy. LH Nenia (2) made a giant three-wide brush at three-quarters into the stretch but couldn’t close the deal at 2-1. Mcgain N Mcgain (6) got third at 11-1 after taking the lead late via a strong, wide move and could sit pretty with cover to use that late speed here. Saturday’s renewal of the Cam Fella leaves us with the same suggested contender as the value wager as we presented before the postponement of the event. Sniper Seelster (1) may race even better this week, having had a week to rest after the trip from America. (2) Presidential Order has done well in higher company and steps down. (6) Mcclelland has had trouble that ruined his chances recently but has done really well before. (8) Delivered From Zin set a tarck record of 1:48.4 at Pompano weeks ago and steps down from an Invitational. (3) Village Rhythm has done better in higher company, even with a hard trip. (5) Manip U Lator BB was a beaten favorite last time and was second; stepping down should help. (5) Picture Me, despite stepping up, has done well every time and may get it this week. (8) What The Sheik raced with classier last week and has done well in this class already. (6) Zander Massimo has started to get his act back together and may get up to win in this mile. (8) Born To Rockn Roll is stepping down after being shuffled back last week. This is a $24 ticket; add or subtract horses to suit your budget. (2) Red Star Ruffles was second at 34-1, far higher than she deserved, closing well. (5) Lily’s Hiho has been sharp all winter and can be forgiven for her last race, where she was first over and still gaining at the finish. (2) False Accusations raced well at 14-1 and had enough left to pick up the show spot, while (3) Jessalilpeace made two moves and still got second. (2) Marlin Hanover put in a solid wire-to-wire win and has every reason to repeat. (4) Myra’s Hiho was gaining strongly last week, beginning the surge too late to get anywhere but fourth in the end. (2) Whitman closed well but only got third as one of the choices. (3) Devilish Donnie was done in last week by an early duel but the week before he blew them away. (7) Hiho Legacy also wasted real estate with a start too quick to sustain a good position. If you want to use all of these, the ticket cost $48, which is the price of the ticket invested in last week’s $767 win. At Buffalo on March 11 we are considering two horses. In Race 13 Yourkindainmyway (6) and Wyndridge Bliss (8). At the Meadows on March 11, we are watching two horses. In Race 7 A Golden Rose (4); and in Race 9 Pilgrims Haley (2). Then at Buffalo on March 12 we are considering four horses. In Race 1 Ellie’s Crew (1); in Race 2 Bobsujak (3); in Race 9 Noble Maximus (3) and Vijaysluck (4).